Oven Cleaners Fulham W - Commercial & Residential Kitchen |Quality Property Care Ltd. Call 020 3746 4287 now and get your oven and kitchen professionally cleaned. We use the best equipment and detergents to guarantee a safe, spotless result each time you give us a call. So feel free to call us whenever your oven and kitchen needs a professional care. Upon your request we can also clean your entire kitchen with the appliances with a discount on the price. We can also clean range half size ovens, single wide ovens with their racks and trays, small and big BBQs, warming drawer doors, master range excluding burners. We work with safe and green detergents and tools which allow us to remove dirt without leaving any toxins. The biodegradable cleaning solutions allows us to safely clean your kitchen and appliances without you having to worry about hazardous residues. If you leave aside the aesthetic aspect, cleansing your oven professionally will lead to faster cooking, because a dirty oven takes more time to warm up. Moreover, the food will be healthier once all the burnt harmful carbon and all other toxic residue in it are gone. You will increase the life of your oven or cooker. 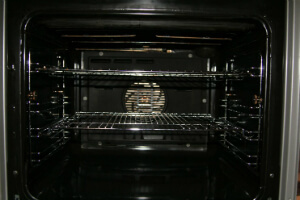 The regular deep oven cleaning is a wise investment for both homeowners and business customers. Book several cleaning services at once and you will enjoy an amazing discount from Quality Property Care Ltd.! Don’t waste any more time and ensure that your food is better and your oven will work and live efficiently and longer. Book the deep oven cleaning services of Quality Property Care Ltd. now! Booking a thorough oven cleaning service has never been easier and faster. The customer assistance is waiting for your phone on 020 3746 4287 or for your online booking form. You will be charged with no deposits or hidden fees for the service. Emergency booking is available. You can book your oven cleaning for any day of the week, including weekends and bank holidays, with no extra fee charged.